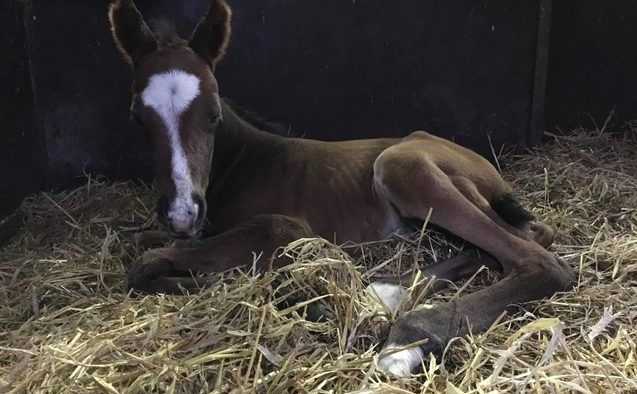 Bechmann Stud has welcomed the first foal by our multiple Group 1 winner Decorated Knight, a colt out of Charming Loza. The colt was described by Hanne Bechmann ‘very striking, strong and well made’. Foaled on the 15th January, the colt is the first foal out of the Blue Diamond-bred Charming Loza, a Lawman half-sister to the Listed-placed Bournemouth Belle. In turn, they are out of Ellbeedee, a half-sister to Grade 2 winner Uncharted Haven from the immediate family of Classic heroine Just The Judge. The son of Galileo returned an excellent covering sire average of 108,896gns at the 2018 Tattersalls December Mares Sale. 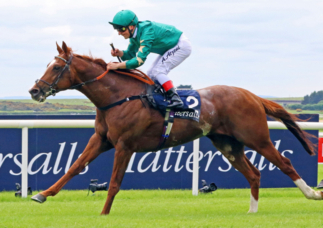 A tough, sound son performer gifted with an exceptional turn of foot, Decorated Knight defeated the likes of Churchill and Poet’s Word when successful in the 2017 Irish Champion Stakes. He was also dominant in victory in the Tattersalls Gold Cup and put his exceptional turn of foot to good use when getting out of trouble to take the Jebel Hatta. 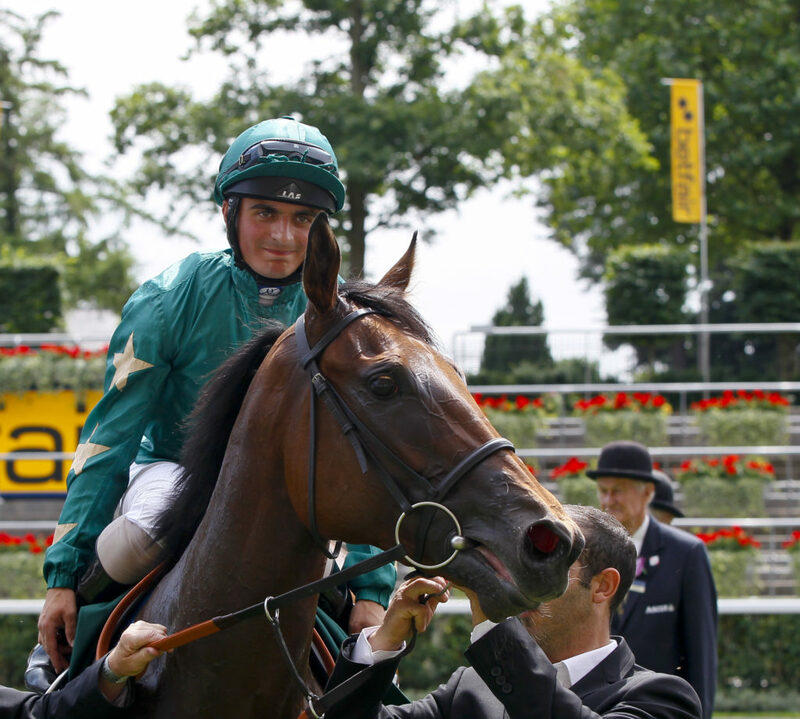 Making Decorated Knight particularly attractive is that he hails from an exceptional stallion family. He is the first foal out of Pearling, a daughter of blue hen Mariah’s Storm and therefore a sister to Giant’s Causeway, a 3-time North American champion sire, and Freud, a multiple champion sire in New York, the sire of three Grade 1 winners. Not only that, another sibling, Group 2 winner You’resothrilling, is the dam of Group 1 winners Gleneagles, Marvellous and Happily, all of whom are by Galileo. 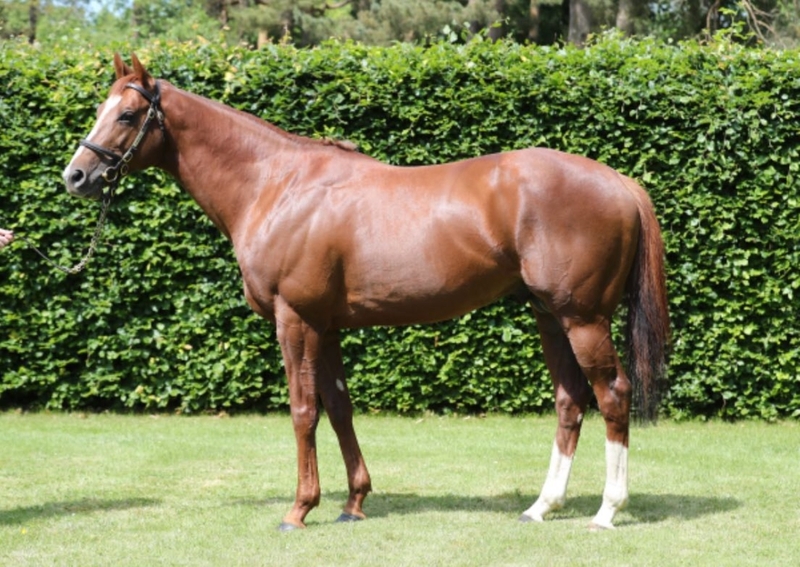 Bred on the same Galileo – Storm Cat cross as Group 1-winning 2yos Ballydoyle, Churchill, Gleneagles, Happily and Misty For Me, Decorated Knight descends directly from Harry Isaacs’ wonderful mare Itsabet, who is also the ancestress of Group 1-producing sires Dansili, Cacique, Champs Elysees, Leroidesanimaux and Ideal World.